1st Place: Dale Janezic with 2 points. 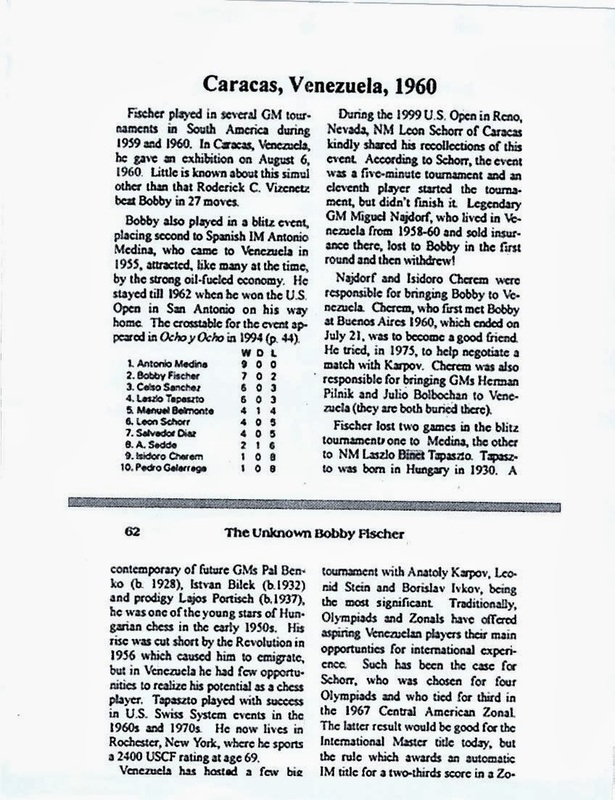 Here is an excerpt from the book, The Unknown Bobby Fischer, scanned by Abe Glasser and found by Jim Attaya showing a blitz tournament many years ago when Laszlo Tapaszto (Benet) played and won his game against future World Champion Bobby Fischer. Later, Laszlo would win six Venezuelan championships during his chess career.